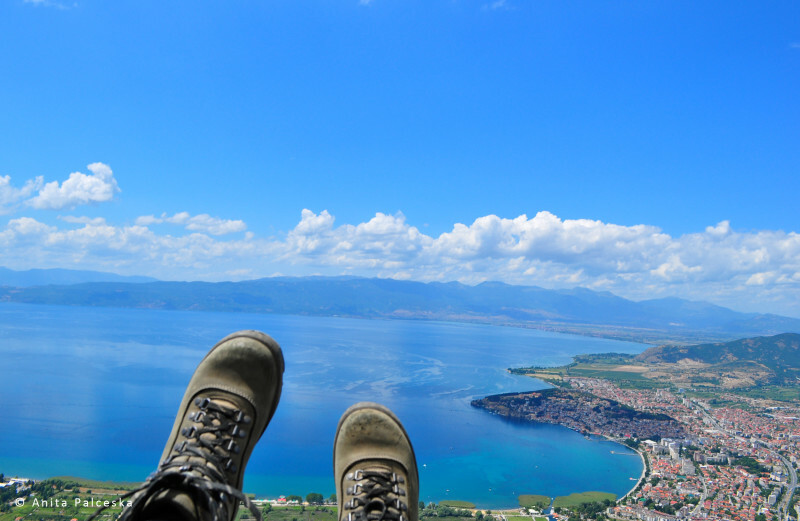 Paragliding has a certain tradition in Macedonia. 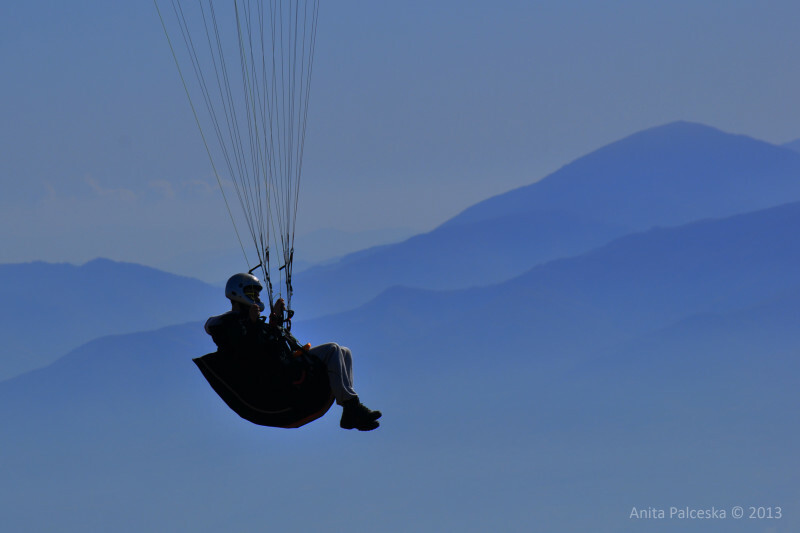 Thanks to its specific terrain configuration, easy accessibility to the mountains, and weather conditions that allow flying almost all year around, Macedonia has become a place of pilgrimage for paragliding pilots around the globe. It has grown rapidly as a sport as well as a tourist attraction enabling almost everyone to get that amazing feeling of flying like a bird. The center of the ‘party’ is Krushevo, the highest town in the country at 1,350m above sea level. It rises above Pelagonia, the biggest valley in Macedonia. That is the place with perfect conditions for flying on most days of the year as well as for landing in the valleys around. Both professionals and beginners just love to fly from here. Different international flying competitions are held here every year, so most of the time you will find pilots from all around the globe hanging out and flying high…. All year around, Krushevo town hosts many paragliders, including members of the Macedonian paragliding clubs, their friends and clients for tandem flights.. They all enjoy the heights, the beautiful nature, hanging out and having good food. Another famous destination for flying is Ohrid, or, more specifically, Galichica mountain. Here you can enjoy tandem flights during the entire summer. 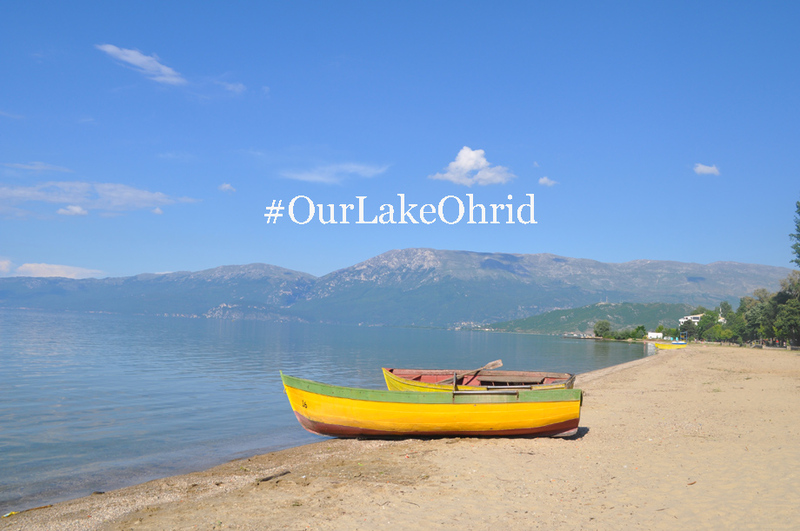 Starting at around 1,700m above sea level you will see amazing views of Ohrid lake, a mountain and the old town of Ohrid. 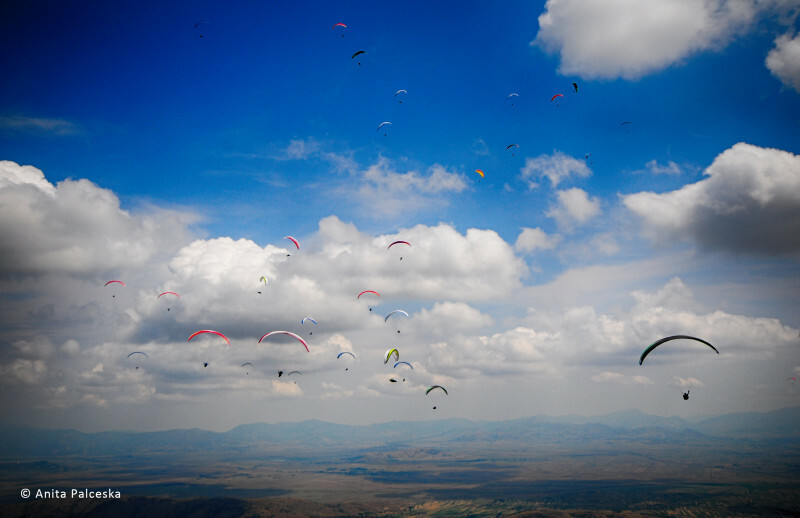 The adrenalin runs high and you get a sense of both nature and freedom at its best. 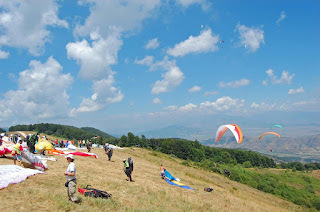 Of course, if you are not able to go as far as Ohrid or Krushevo or Shara, then Skopje flying area is also a place that offers tandems both from Vodno Mountain and from Skopska Crna Gora.